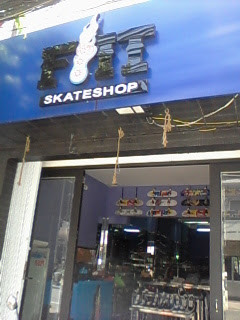 For a vey cool skate shop in Ho Chi Minh City check out F/IT sKATE ShoP. Its at 37 hồ văn huê, phú nhuận - Not far from the train line crossing (on the way to the airport). I was really impressed with their range of complete boards and their clothing and shoes!. 'Complete 'crime' board sets 1.4m. Vans shoes $40, Am skating shoes $20! Great little shop! Shop has even got a test drive area with a rail and bench! just stumbled about ur blog and this post. Im gonna be in Saigon from june! Am from Cologne, Germany. do they sell penny boards too? please reply! thanks. 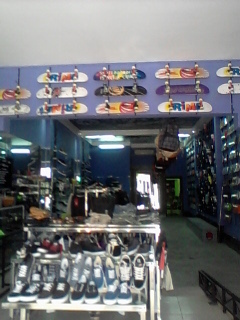 Beautiful skate shop! 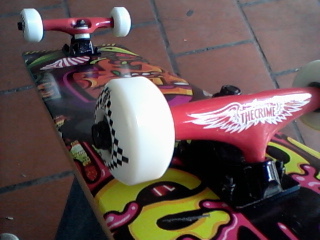 I really big fan of skateboarding. thanks for sharing your skate designs. can you Please share prices to some skates. Can i sell my Brand new Backlash 2013 Longboard there cause i wanted a complete skateboard but i bought the Longboard instead ?